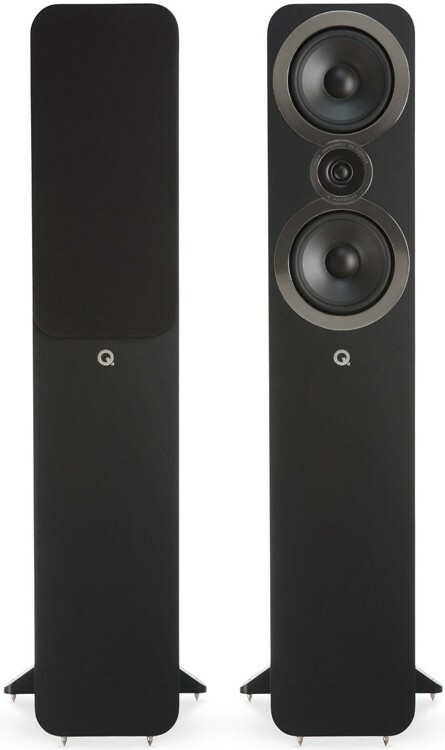 3050i is the flagship speaker and the only floorstanding model in the Q Acoustic's new 3000i Series, sitting above the 3020i and 3010ia bookshelf models. Earn 585 loyalty points when you order this item. 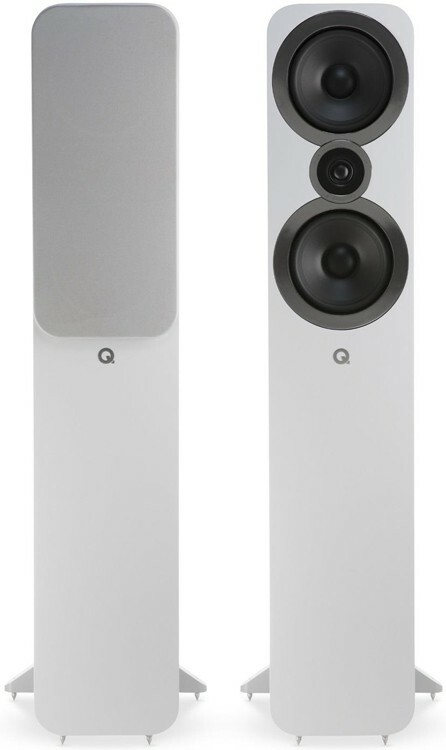 Q Acoustics 3050i is a stunning floor standing speaker which benefits from dual 165mm and 22mm precision drivers. It is recommended for rooms where floor-space is not at a premium and gains extra stability from the supplied rubber feet or spikes alongside rear outrigger plinths. To reduce the effect of cabinet resonance Q Acoustics have employed HPE (Helmholtz Pressure Equalizer) technology, which converts pressure to velocity and subsequently reduces the overall pressure gradient within the cabinet. The HPE technology is perfect for taller loudspeakers that tend to resonate at a single resonant frequency. 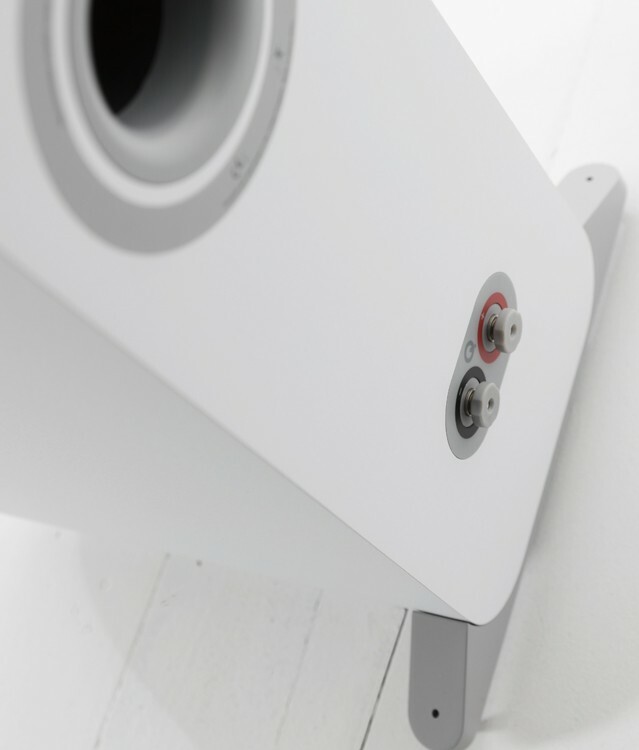 The internal structure of the Q 3050i exhibits Q Acoustics' accumulated knowledge of minimising organ piping using Helmholtz Pressure Equalisation (HPE). Utilising HPE significantly improves bass performance linearity. 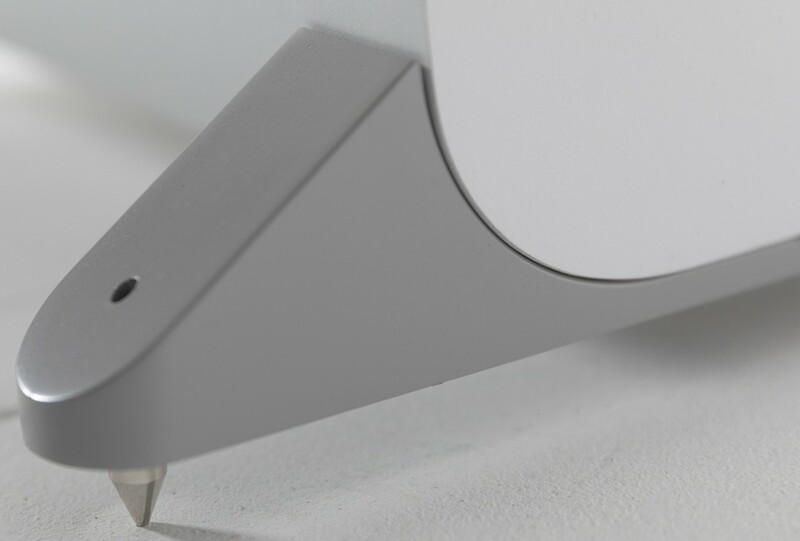 Also, the cabinet has been stiffened by Point-to-Point (P2P) bracing which reduces intrusive cabinet vibrations. Furthermore, the rear facing ports can be filled with foam bungs, which are included, to help with less than ideal room positioning. The level of the bass can be lowered to compensate, but the extension and definition are increased. New low profile binding posts have been incorporated with sockets deep enough to accept 4mm Banana Plugs. The typical terminal panel cut-outs were removed for greatly improved structural integrity to the enclosures. Q Acoustics P2P (Point to Point) bracing that they have employed 3000i series, reinforces the parts of the enclosure that need stiffening, which makes the new cabinets exceptionally rigid, improving the stereo image and making the soundstage highly stable and accurate. Q Acoustics have used P2P bracing to keep the cabinets extra quiet, HPE eliminates cabinet resonance by equalising the air pressure within the cabinet. The 22mm High-frequency Driver with a micro-fibre soft dome with wide surround which helps to create a wide, even dispersion of stereo. 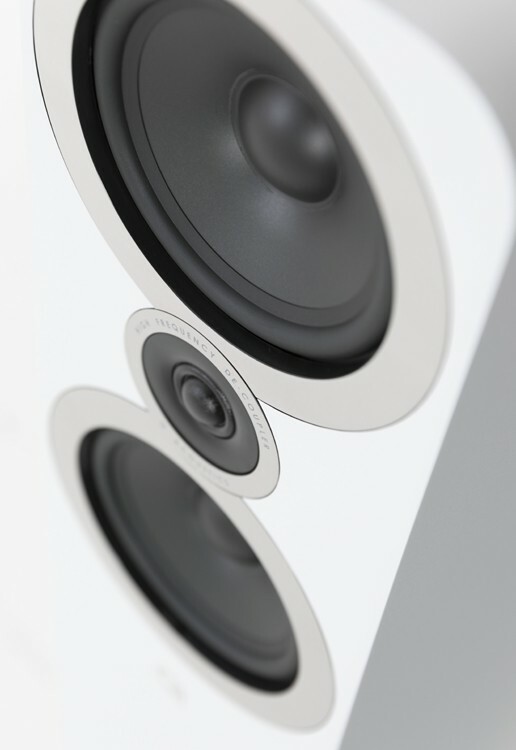 The 3050i has dual 6.5" cones which are precision formed from impregnated coated paper which have been paired with a newly developed, low-hysteresis, rubber surround. The coated paper cones provides results in an equilibrium between tension and self-damping, so the driver can accelerate rapidly without and flexing and stops accurately, without undesirable resonance. The tweeters are decoupled from the baffle via a compliant suspension system. Furthermore, the woofer and tweeter have been separated to minimise the unwanted vibrations from the woofer, which impairs audio performance. An evolution in the 3000 Series, the 3000i benefits from numerous innovative advances aiming to significantly upgrade both sonic performance and aesthetics from the earlier highly awarded and revered range. The 3000i range have been developed from a combination of groundbreaking R&D and significant improvements in the cabinet construction. 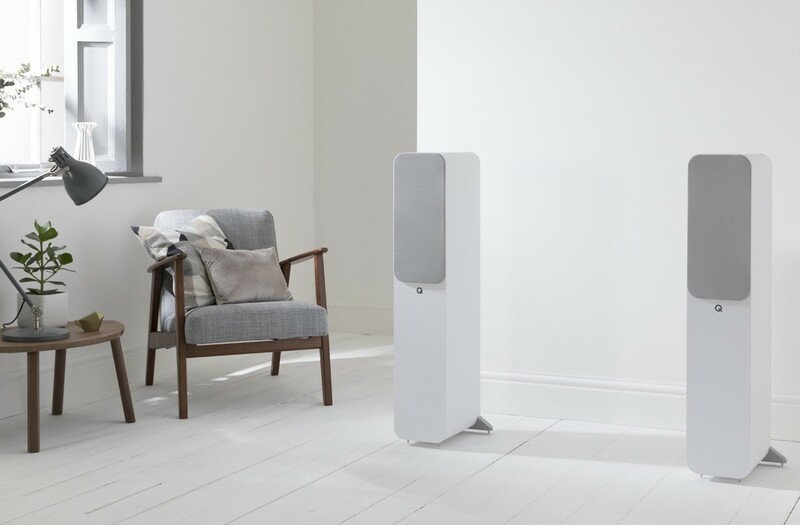 Every 3000i loudspeaker is an exceptional and authentic audiopphile Hi-Fi loudspeaker with models that can also be combined to deliver a truly fantastic home cinema sound. Focusing on every minute detail, from the new ‘Concept’ technology to the new cabinet designs and the drivers, has been commissioned for this range. Q Acoustics are proud of their new cabinet design, that manages to preserve the subtle acoustic clues which facilitates the ear in perceiving a solid 3D soundstage. The 3000i series benefits form component matching and innovative R&D, which results in loudspeakers that give the listener sheer enjoyment garnered by the sense of intimacy in the performance. Available in Graphite Grey, English Walnut, Carbon Black or Arctic White, the 3000i Series speakers have a finish to suit many interior designs. The 3050i's are completed with a chrome-finish bezel around each driver, with magnetic speaker grilles, giving you the option in your listening room. The 3050i's provide the perfect soundstage for film or music, and at this price they deliver a pure transparent sound that will please even the most astute audiophile. 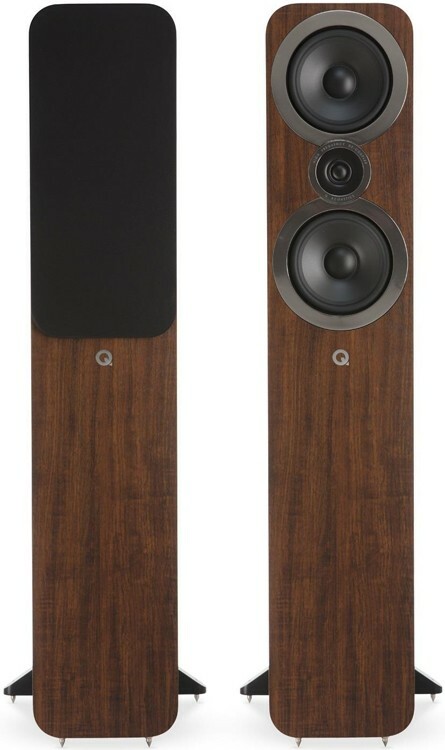 Last week I purchased these newly released Q Acoustics 3050i Floorstanding Speakers to replace my smaller 3020 Q Acoustics Speakers on Q Acoustic stands. Early days obviously....but they really do improve the bass and middle range frequencies over the 3020's . I highly recommend using the foam inserts supplied to fill the open ports at the back of the speakers. The reason for this is that if you place these speakers too close to the wall at the back, without doing this, the bass is too open and spoils the overall tightness of the bass and middle range frequencies in the sound stage. I feel this is very important as I have tried auditioning them with and without and for me with the foam inserted they sound much better! 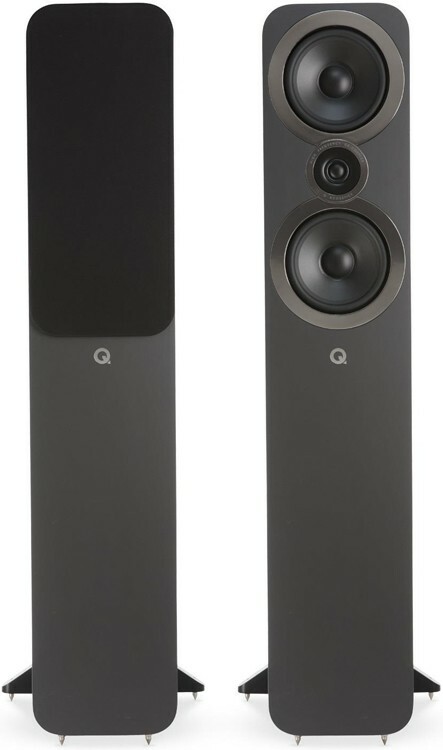 Built quality is great and they actually weigh twice as much as the previous Q 3050 model. 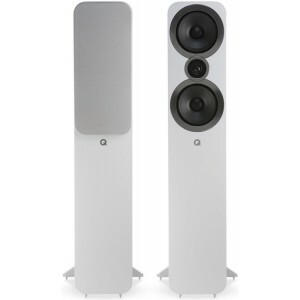 If you have the space I highly recommend these 3050i Floorstanding Speakers at £650.00 which I think is very good value for mid range Audiophile speakers.